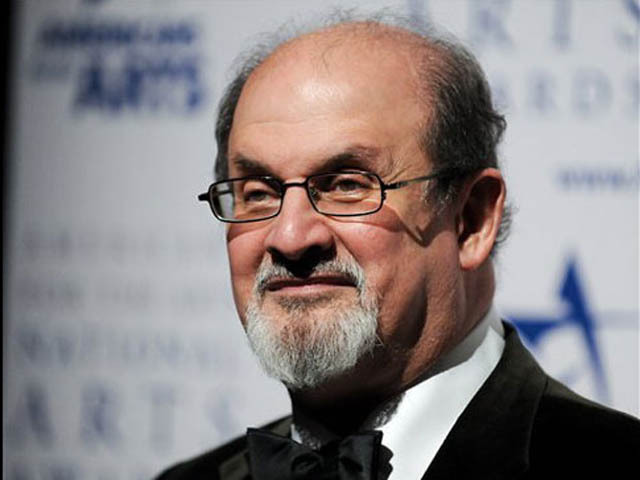 (AP) TEHRAN, Iran - A semi-official religious foundation in Iran has increased a reward it had offered for the killing of British author Salman Rushdie to $3.3 million from $2.8 million, a newspaper reported, days after protests coursed through the Muslim world over alleged insults to the Prophet Muhammad. Hardline Jomhoori Eslami daily and other newspapers reported on Sunday that the move appeared to be linked to protests over an amateurish anti-Islam film, which crowds in some 20 countries said drove them to defend their faith  in some cases by attacking American embassies. The report said the 15 Khordad Foundation will pay the higher reward to whoever acts on the 1989 fatwa, or religious edict, issued by Iran's late leader Ayatollah Ruhollah Khomeini, which called for the death of the author "The Satanic Verses" because the novel was considered blasphemous. The paper said the decision to boost the original reward, offered in the 1990s, came from foundation head Ayatollah Hassan Saneii. "As long as the exalted Imam Khomeini's historical fatwa against apostate Rushdie is not carried out, it won't be the last insult. If the fatwa had been carried out, later insults in the form of caricature, articles and films that have continued would have not happened," the paper quoted Saneii as saying. Iran's hardliners say Khomeini's fatwa is "irrevocable." In 1998, the Iranian government declared it would not support the fatwa, but at the same time the government said it could not rescind the edict, since under Islamic law, that could be done only by the person who issued it. Khomeini died in June 1989. Khomeini's fatwa sent Rushdie into hiding under police protection, but that didn't stop him from writing more novels. In 1990, he published an apology and reiterated his respect for Islam. Also on Sunday, thousands of clerics gathered in seminaries across Iran to protest the anti-Islamic movie, state TV reported. Ahmad Khatami, an ally of the country's top leader Ayatollah Ali Khamenei, told a gathering in In the holy city of Qom, 130 kilometers south of the capital Tehran, that the United States and Israel were the "main suspects" in the case. His remarks prompted "death to Israel and "down with the U.S." chants by demonstrators.